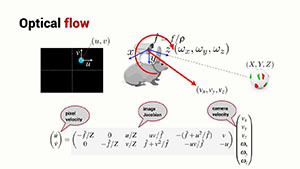 Let’s look at how light rays reflected from an object can form an image. 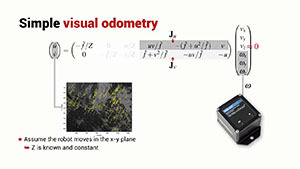 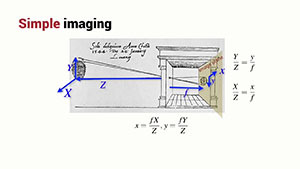 We use the simple geometry of a pinhole camera to describe how points in a three-dimensional scene are projected on to a two-dimensional image plane. 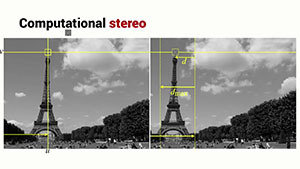 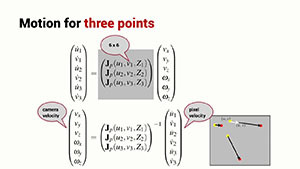 Given two images of a scene taken from slightly different viewpoints, a stereo image pair, it’s possible to determine the disparity for every pixel using template matching. 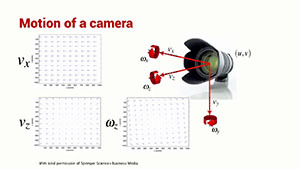 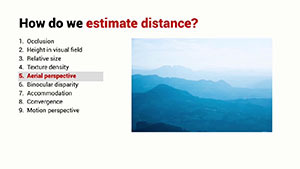 The disparity image is one where the value of each pixel is inversely related to the distance between that point in the scene and the camera. 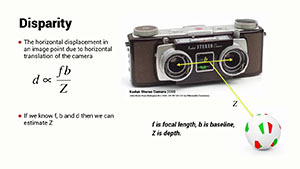 One very powerful trick used by humans is binocular vision. 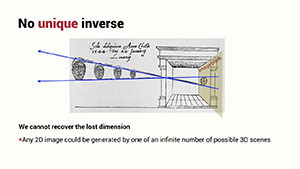 The images from each eye are quite similar, but there is a small horizontal shift, a disparity, between them and that shift is a function of the object distance.